Rick Wester Fine Art is pleased to present an exhibition of new work by Brooklyn-based photographer Alison Brady, What Should Remain Secret. In What Should Remain Secret there is an exploration and intersection between the commonplace and the carnal. Brady’s photographs capture young women in domestic settings imbued with the warm comfort of nostalgia while confronting hidden sexuality, perversion and alienation. In this series, Brady eschews the surreal posing of models that has defined some of her earlier photographs. Brady’s new photographs allow the viewer to immediately take in more elements of contrast, color and humanity. They retain the perversity of the earlier images and take them further in subject and color, creating a reaction of detachment, confusion and potentially both at the same time. Brady’s work embodies a wide spectrum of sexual experience, ranging from popular Western 21st century ideals of female beauty to more unconscious, perverse, and even violent desires. 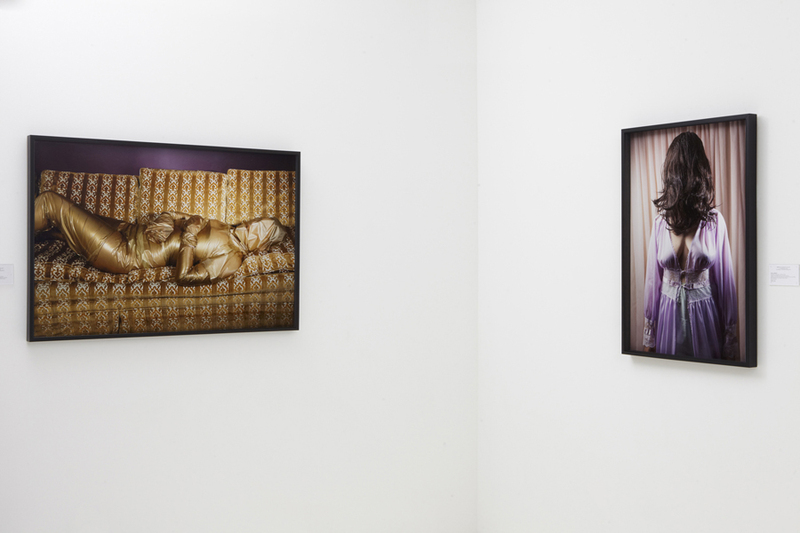 By juxtaposing these two extremes, often in the same photo, she makes the viewer acutely aware of the scope of human sexual experience and desire and perhaps his/her own place in this spectrum. She brings to mind the visual and visceral impact of Todd Haynes and David Lynch, resulting in powerful imagery that is disturbing, provocative and hilarious. Alison Brady has been featured in exhibitions with Hous Projects, New York; Massimo Audiello, New York; Queensland Centre for Photography, Australia; The Kirkland Art Center; Kopekin Gallery, Los Angeles; and BAM. Critical attention has been paid to Brady’s work by The New York Times and Time Out New York, NY Arts, Hormand Magazine, Rojo Magazine, The Morning News and Eyemazing among others. Moreover, Brady was named as one of the top emerging artists to watch by the Saatchi Gallery. All works © Alison Brady.